Mercedes-Benz has revealed the latest model in its high performance line-up with the CLS63 AMG. 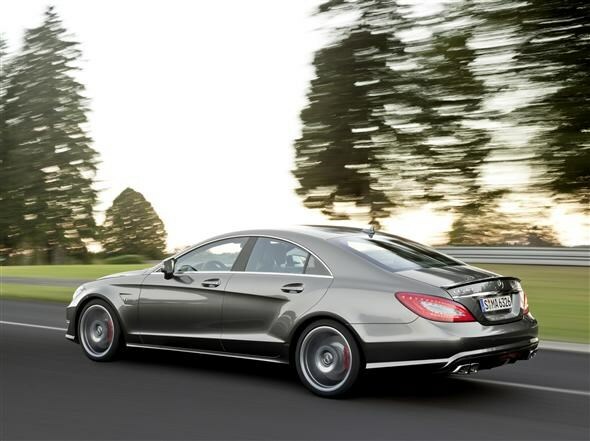 Based on the standard CLS coupe, the AMG versions comes kitted out with a new twin-turbocharged 5.5-litre V8 engine. This comes with 518bhp and will cover the 0-62mph sprint in 4.4seconds. Stick on the AMG performance package, which includes carbon fibre engine cover, boot lid and spoiler lip, and the power figure increases to 550bhp, but you will reach the 62mph benchmark in just 0.1seconds quicker at 4.3seconds.Top speed for both versions is a limited 155mph. Both versions come with the AMG speedshift seven-speed automatic gearbox that comes with a number of different modes. 'C' mode gives a soft accelerator response. Put the auto 'box in 'S'(sport) and this sharpens acceleration and throttle. It also comes with the AMG sports suspension that allows the driver to switch between comfort, sport and sport plus setting. If this wasn't enough then you can also opt for AMG ceramic braking system. Despite all this talk of performance, the CLS AMG will average 28.5mpg - up from 19.5mpg on the previous version - while emissions are 232g/km a big fall from 345g/km from before. This improvement in economy and drop in emissions is partly down to the use of a stop/start system as well as the downsizing in engine from the 6.3-litre unit used in the previous model. On the looks front you get the usual AMG badged pieces like the wider mudguards. You also get the AMG sports dual exhaust, AMG spoiler lip and LED lights as standard. Inside is what you'd expect from a n AMG model with leather sports seats, flattened top and bottom steering wheel with paddle shifts when the car is in manual mode and AMG specific gearknob. 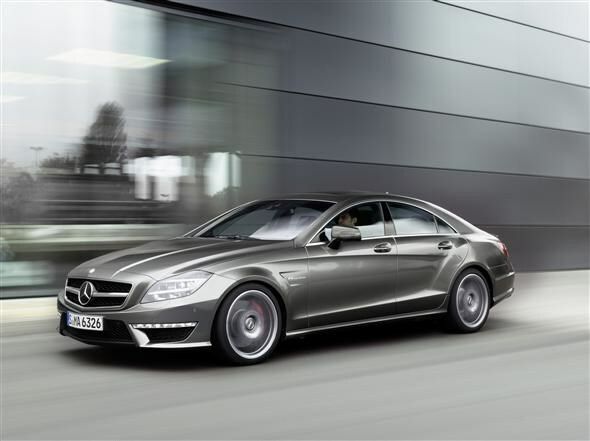 The CLS63 AMG is set to go on sale in the UK in early 2011 with prices expected to start at around £80,000.